Surprise! 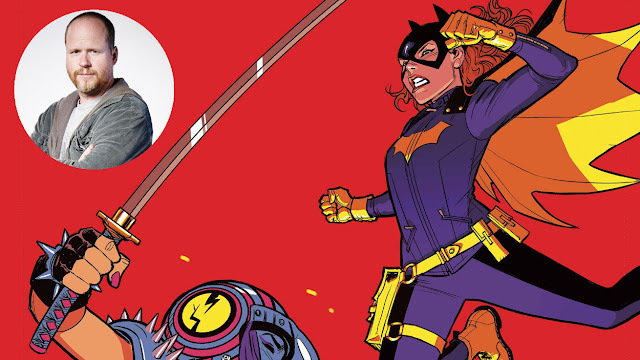 Batgirl is joining the DC Extended Universe with Joss Whedon writing and directing. There was a time that the outlook for big budget female-driven comic book films seemed nearly hopeless. Then slowly the success of DC and Marvel films dominated the box office leading to more and more features until finally a long overdue Wonder Woman film was announced then Marvel included Captain Marvel in their upcoming phase. Margot Robbie's break-out role as Harley Quinn in 'Suicide Squad' begat the planned 'Gotham City Sirens' film led by Quinn and other female villains. Today, Variety is reporting that Joss Whedon (The Avengers, Buffy the Vampire Slayer, Firefly) is close to a deal to write, direct, and produce an untitled Batgirl pic for Warner Bros. The report is a surprising one for two reasons. One, it was unclear if Whedon was going to return to Disney-Marvel after establishing their own series of blockbuster comic book films with The Avengers, Avengers: Age of Ultron and ABC Television's Agents of S.H.I.E.L.D. The process had seemed to have burnt him out. He had been doing research for his next project, a historical fiction/horror movie set during World War II. If the deal goes through, Whedon moving from the MCU to DCEU is a momentous one for Warner Bros. as it continues to solidify its slate of comic book movies. Created by Bill Finger and Sheldon Moldoff in 1961, Batgirl aka Barbara Gordon, the daughter of Gotham City police commissioner James Gordon, has become a popular fixture of the Batman universe. The character has appeared in the comics, cartoons, live-action television, and live-action films. She currently leads her own DC Comics solo title, 'Batgirl,' written by Hope Larson and art by Christian Wildgoose and a team book, 'Batgirl and the Birds of Prey,' written by Julie and Shawna Benson with art by Roge Antonio. Batgirl comic books DC Comics Joss Whedon movies Warner Bros.
Labels: Batgirl comic books DC Comics Joss Whedon movies Warner Bros.